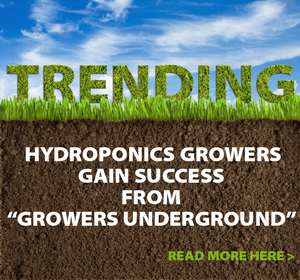 Hydroponics Growers Gain Success From “Growers Underground” Website - Rosebud Magazine Hydroponics Lifestyle Growing And Entertainment! 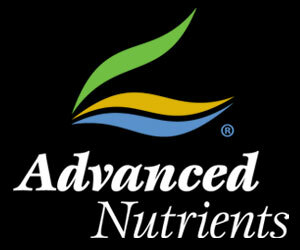 Growers Underground website gives you the underground story of plant success. Maybe you buy grow books and magazines. Talk to grower friends. Or hit the Internet. Online hydroponics gardening magazines and grower web forums provide timely information and are sometimes interactive so you get real-time advice and news. But I recently discovered a hydroponics gardening website that brought more happiness and success to my grow op. One of the most interesting things I read at Growers Underground is that Straumietis created a totally new type of hydroponics base nutrients that automatically adjust pH. Straumietis notes this isn’t the same as all other brands of hydroponics nutrients that contain cheap “buffers” that sometimes help pH stay somewhat close to a general pH range useful for your plants. Instead, Straumietis paid a team of scientists a lot of money to create a proprietary new type of hydroponics base nutrients containing specialized chelates and other materials. Straumietis explains that his auto-pH balancing hydroponics base nutrients automatically set your res or bucket pH to the optimal 5.7 pH—“perfect” pH so your plants immediately intake the exact nutrient elements they need. Not only do you save time and trouble because you don’t have to fuss with pH meters and adjusting fluids…you also get faster-growing, earlier-maturing, higher-yielding plants, BigMike says. 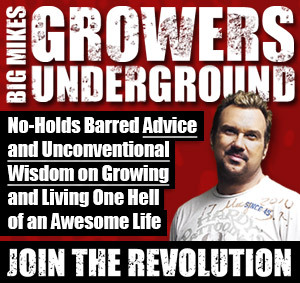 Growers Underground includes BigMike’s very personal stories about growing, political persecution, and starting the only hydroponics nutrients company (Advanced Nutrients) that creates products designed specifically to boost crop potency and weight. He even includes a compelling, somewhat scary story describing how he temporarily died during surgery, was revived, and discovered that his near death created in him increased desire to help the world by running charities and political activism ventures. What I like most about Growers Underground is it includes a personal approach to growing. From what I read, BigMike has been a professional hydroponics grower for many years, and he offers plenty of useful, interesting grow stories to tell! BigMike dishes insider info about finding grower friends, securing your grow house, motivating yourself to get more pleasure and profits from hydroponics growing, and how to use hydroponics growing to upgrade your lifestyle. Growers Underground is one of my favorite hydroponics information sources, and I urge you to visit Growers Underground today and get all its benefits for yourself.